For the new year, resolve to improve guest service throughout your property. We all know it will be tough year to hit budgets and to attract more business. 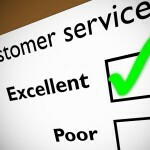 A great, and cheap way to keep the business you already have is to make sure your guest service exceeds standards. A very simple way to do so is by making sure that your team is trained to say the right things to guests. At a recent stay at a very fancy and expensive hotel, we ran into many issues. The issues ranged from very small to a very large one but regardless, it did not seem that the guest service team was properly trained to handle the problems that we encountered. Though they were able to fix the problems quickly and satisfactory, the guest service team was not empathetic or even apologetic at all. This made our mystery shopper feel very unimportant even though we had just paid over $400 for the night. To see the effect of slight changes in your team’s words on your guest service, please read this article on the Hotel & Motel Management website. The author, Doug Kennedy, provides great examples of what many of your associates currently say to guests and what they should say instead. It is a great way to improve your guest service without much cost! For example, Kennedy points out the dreaded way to greeting a lone-diner at a restaurant with, “Just One?”, making the diner feel even lonelier. He provides an excellent way to greet those guests by using, “Welcome to the restaurant are you ready to be seated?” The author also gives a few other great examples but leaves you to figure out how this concept can be applied to the many other areas of guest contact in your hotels. It is a great way to keep your current guests happy and have them continue to choose your hotel in the future without spending any money! This entry was posted in Great Customer Service and tagged budgets, hotel guest service, hotels, management website, money, mystery shopper, service reminders by Five Diamond Hospitality. Bookmark the permalink.